It's Thursday. Get ready to trade. 1. 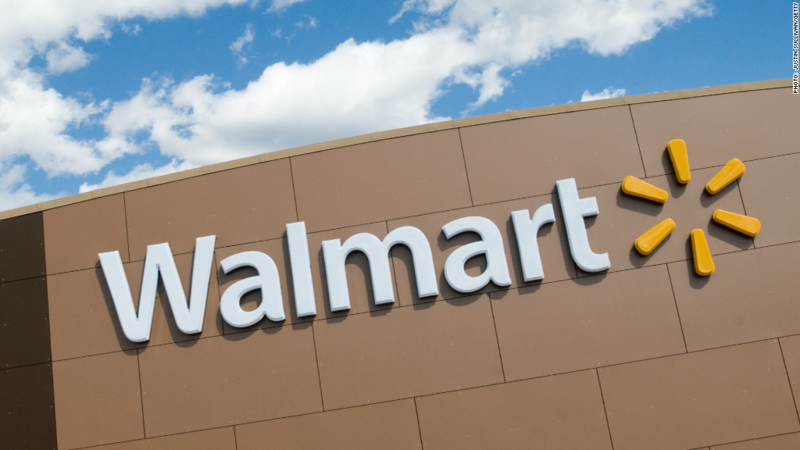 Retail realities: A number of major retailers are reporting earnings Thursday, including Walmart (WMT). The industry giant will release quarterly earnings ahead of the open, giving investors a look at how it's faring against e-commerce firms and traditional bricks-and-mortar competitors. The results come just after the firm agreed to spend $3.3 billion to acquire upstart e-commerce competitor Jet.com. Meanwhile, retailers Gap (GPS) and Ross Stores (ROST) will post results after the close. Shares in Victoria's Secret parent company L Brands (LB) are set for a strong open after the company posted better-than-expected earnings on Wednesday. In the U.K., retail sales for July showed that consumers continued to spend in the immediate aftermath of the Brexit referendum. Spending grew by 1.4% in July compared to June, with online sales performing particularly well. The data was much better than economists had expected. 2. Cisco cuts: Cisco (CSCO) is in focus after the company confirmed that it will slash 5,500 jobs, or about 7% of its total workforce. The move should help it cut costs and make room for investments in trendy areas like cloud computing and the Internet of Things. The layoffs, while significant, are smaller than had been rumored. Premarket trading indicates Cisco shares could dip a bit at the open. 3. Global stock market overview: Stocks are looking pretty solid right now. 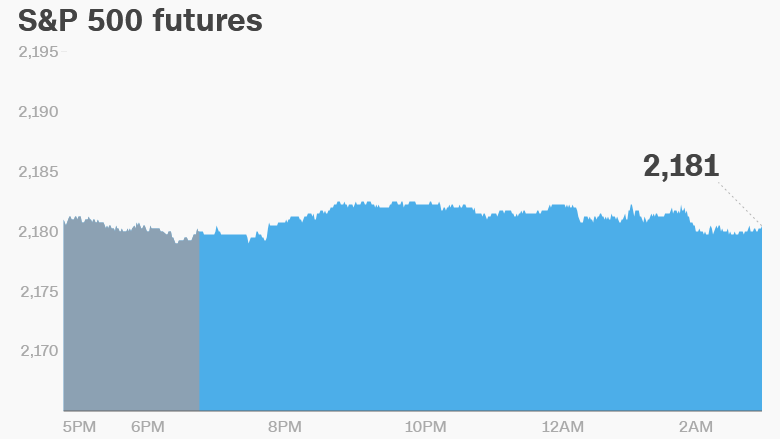 US stock futures are holding steady and not moving much from where they left off on Wednesday. The Dow Jones industrial average, S&P 500 and Nasdaq are just slightly below the all-time highs set on Monday. European markets are all inching up in early trading, while Asian markets are closing with mixed results.